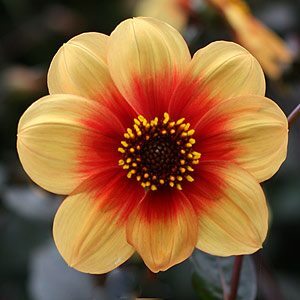 Dahlia bulbs are a tuberous perennial plant much loved for the colorful flowers in season. Bulbs are available for sale from specialist nurseries and they do make great cut flowers. Dahlias have been a popular cut flower for many years and are a native of Mexico and the Central Americas. They are popular for the colorful flowers produced during summer. Dahlias do need a little care and attention, for best results bulbs are lifted and stored over winter. Cut the flowers first thing in the morning when they have opened fully, place stems in water as soon as possible, the flowers last longer this way. You can grow Dahlias in pots, the smaller types are especially good for this. Dahlia flowering season in Australia is in late summer to autumn. However the bulbs or tubers, are planted in spring. 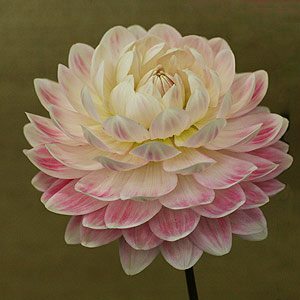 Plant Dahlias on Melbourne Cup Day, (1st Tuesday in November) or after the danger of frosts has gone, but shop for bulbs earlier to get the best choice of new releases. So Dahlia planting season is 3 -4 weeks either side of this depending on your location. Remember that these tubers do not like wet conditions, so hill up if your soil is wet. Dahlias should not be planted where you have grown tomatoes or potatoes. Dahlia flowers vary greatly, many different forms and size varies from small to some of the Giant decorative types with flowers as big as dinner plates.